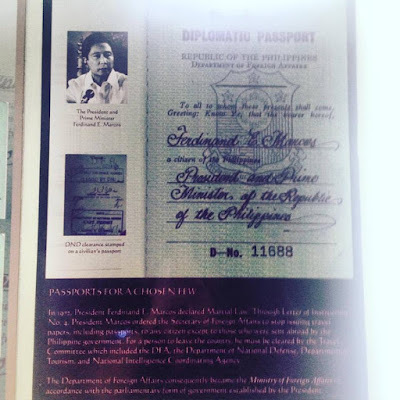 Millennials who like to travel and post their life on social media (Facebook, Twitter, Instagram et al) may not be aware of it but if you are one of those who believe stories that Martial Law by Marcos was great, did you know at during Martial Law, you cannot just travel out of the country, moreso get a passport? 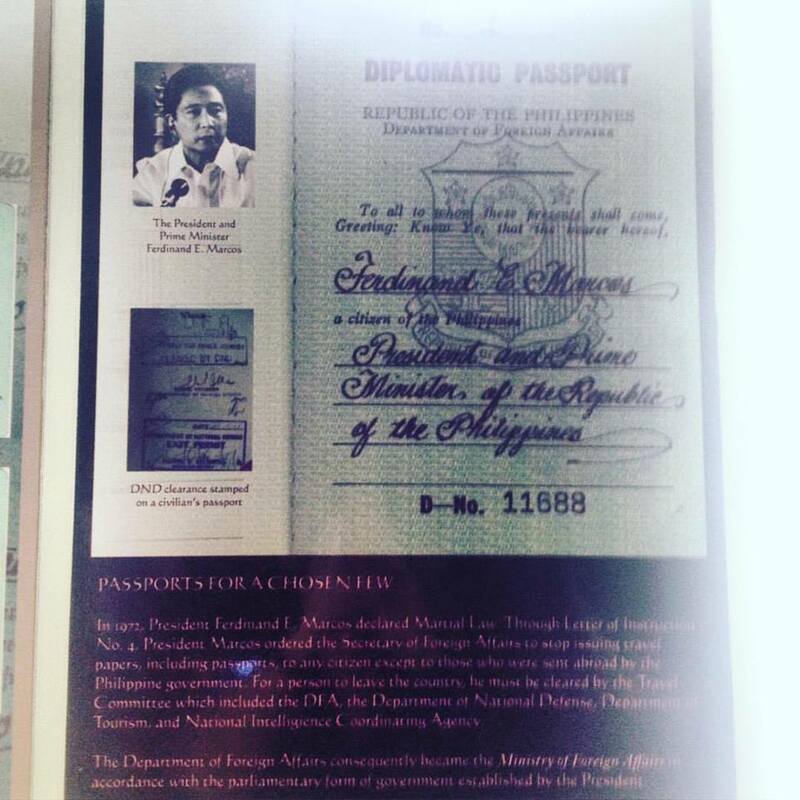 Thisis beside the well-documented fact that people were arrested, torutured, murdered and disappeared without a trace during this period that Marcos apologists claim is the "golden age"
Read: "... President Marcos ordered the Secretary of Foreign Affairs to stop issuing travel papers, including passports, to any citizen, except to those who were sent abroad by the Philippine government. For a person to leave the country, he must be cleared by the Travel committee, which included the DFA, the Department of National Defense, Department of Tourism, and National Intelligence Coordinating Agency." Pursuant to Proclamation No. 1081 dated Sept. 21, 1972, and in my capacity as commander-in-chief of all armed forces of the Philippines and in order to prevent the escape from the country of persons who are known to be actively engaged or suspected to be actively engaged in a criminal conspiracy to seize political and state power in the Philippines and to take over the Government by force and violence the extent of which has now assumed the proportion of an actual war against our people and their legitimate Government, you are hereby ordered not to issue travel papers of any kind such as passports and other like documents to any citizens of the Philippines who may wish to depart from the Philippines for any foreign country after the date of this order except only to those citizens of the Philippines who are being sent abroad in the service of the Government or to those citizens of the Philippines who are members of the crew of any inter-ocean going vessel or to those citizens of the Philippines who are member of the crew of any commercial aircraft engaged in the international carriage of persons or cargoes or both. In all such exceptional cases, care must be exercised to fully identify the individual in whose favor such travel documents or papers are to be issued. This order shall remain effective for the duration of the present national emergency or until otherwise ordered by me or by my duly designated representative. Done in the City of Manila, this 22nd day of September, in the year of our Lord, nineteen hundred and seventy-two. People, enjoy your freedom to travel now, glorifying Martial Law and loving travel (and using Facebook) do not go well together.